The freshly-founded public organization Voters’ League has refused to recognize the results of the March 4 presidential poll due to “numerous violations.” The authorities replied that the conclusion was predetermined and the issue should be closed. The Voters’ League was founded after December’s parliamentary elections as an organization without any political bias and with an objective to ensure the fairness of future polls. On March 7 it presented its own account on violations committed during the presidential elections, according to which the law on elections was systematically violated in several Russian regions. As a result, the League said it refused to recognize the results of the elections as legitimate. The league announced that according to their own calculations Vladimir Putin got 53 per cent of vote instead of the official 63 per cent. Billionaire Mikhail Prokhorov got 16 per cent, according to the figures, while his official result was just under 8 per cent. It should be noted that the league’s results do not change anything in regard to the election’s outcome – Putin would still win in the first round. The memorandum released by the league reads that the elections were not fair, as well-known politicians faced discrimination and this limited the choice for citizens and lowered the competition. It also claims the elections were not honestly executed, as both the ballot-counting and the final calculations were made with systematic violations that considerably distorted the voters’ expression. 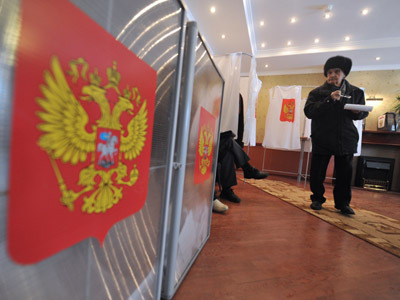 The document also calls the poll an insult to the Russian civil society and reads that the institutes of presidential power, elections system and the whole system of state power in Russia were discredited by it. Russia’s main elections body, the Central Elections Commission (CEC), dismissed the league’s conclusions as biased and pre-determined. “The League of Voters is pursuing some goal set beforehand. They had said this repeatedly before the elections results were tallied and have confirmed their intentions now,” deputy head of the commission Leonid Ivlev was quoted as saying by the Interfax news agency. The official said that his agency had conducted numerous checks and the claims of rigging were not confirmed. 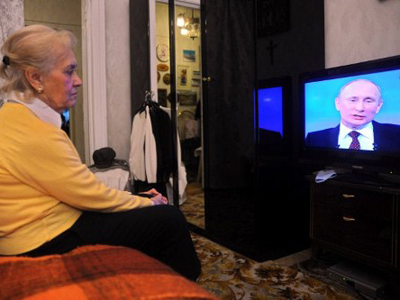 Vladimir Putin’s press secretary Dmitry Peskov said he saw no sense in commenting on the Voters’ League statements. “All assessments have been made. 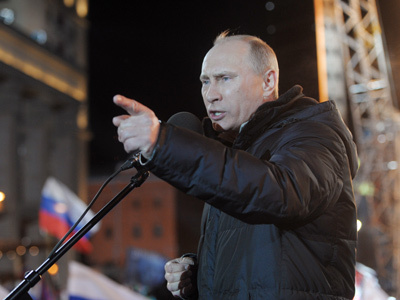 The question is closed,” Peskov told the Interfax news agency. The official added, however, that the activists had made similar statements even before the poll date, in the course of the election campaign.